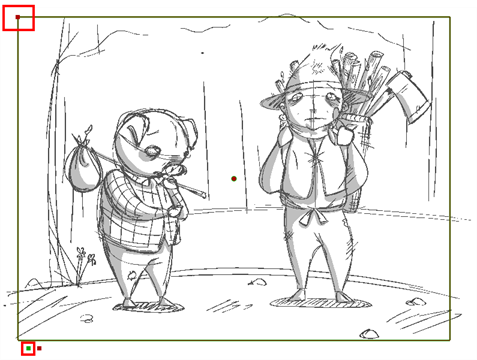 An animatic is the next step in the storyboarding process which involves adding sound, camera movements, animation, and scene transitions.Storyboard Pro has all the tools necessary to synchronize your storyboard with sound, add camera and layer movements, and transitions before you export to the final video format. 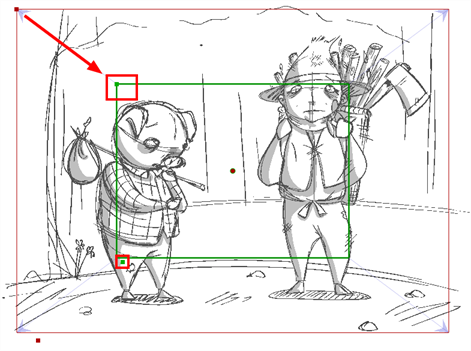 In order to create any animated camera for a scene, you will need at least two keyframes. 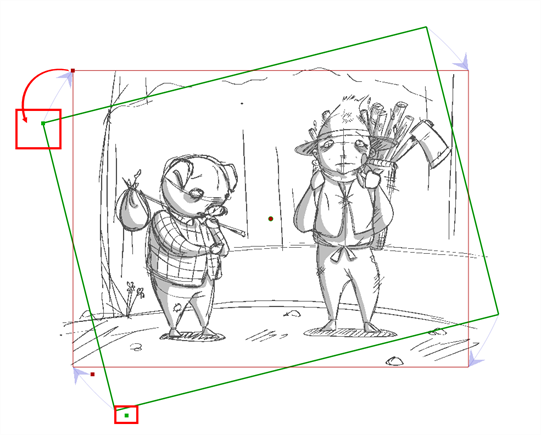 Create these keyframes before you change the position of your camera if you plan to move it. Below are four methods to add keyframes to the Timeline view. ‣ From the top menu, select Camera > Add Camera Keyframe at Current Frame. ‣ In the Tool Properties view, click the Add Keyframe button. 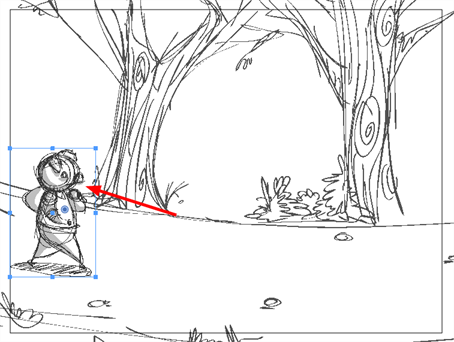 NOTE: Enabling the Camera Label in the Stage view can be very helpful when manipulating keyframes. You can do this via the Stage view status bar. To display the Camera Status toolbar, select Edit > Preferences (Windows) or Storyboard Pro > Preferences (Mac OS X). In the Options section, select the Show Status Bar option. 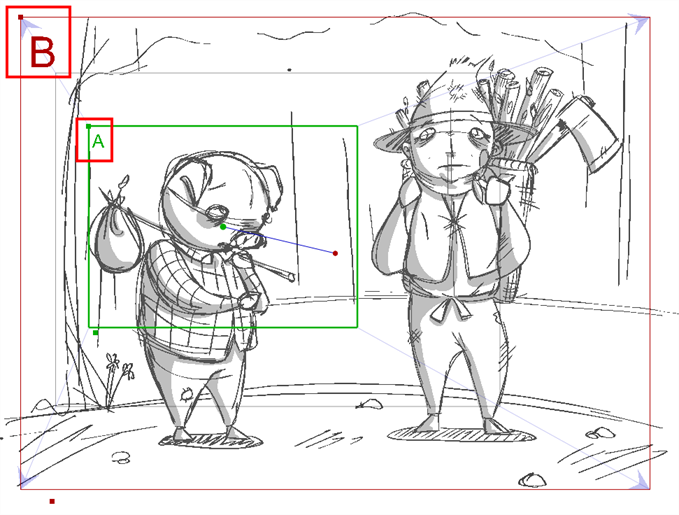 In the Stage view, click to select the camera keyframe you want to modify. 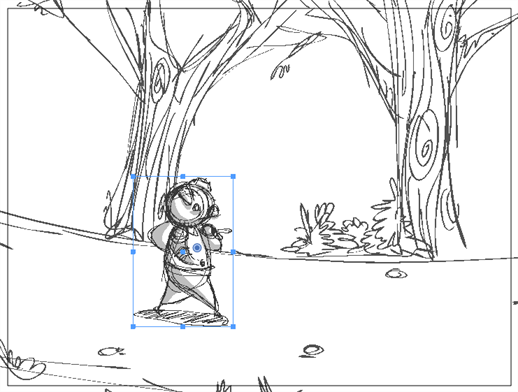 If you have more than one keyframe within a scene, you will see more dots here. 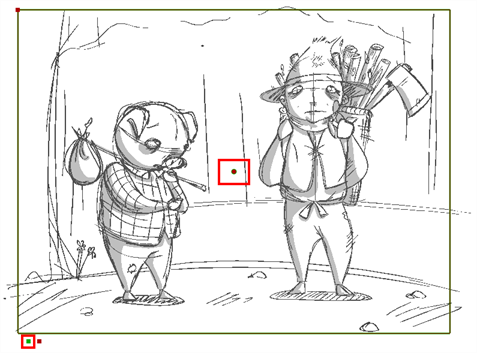 Use these dots to select the desired keyframe when moving the frame in Stage view. The order is ascending from left to right. ‣ To position the selected keyframe along the Z axis, creating a truck in or truck out movement, drag the top-left corner of the frame when you see the Truck icon. If you want to modify the Zoom level, use the Field of View field in the Tool Properties view. ‣ To rotate the selected keyframe, drag the top-left corner of the frame when you see the Rotate icon. ‣ To move the selected keyframe, drag the frame from the centre pivot point or the outer edge of the camera frame when you see the Drag icon. ‣ You can also nudge the selected keyframe by pressing [Up], [Down], [Left] and [Right] on the keyboard. At this point, if you wanted to, you could select the B position keyframe and move it to a new location. The scene, when played back, will contain a camera that moves from position A to position B. You can add new audio tracks to your project. To do so, you must work in the Timeline view—see Import Sound. ‣ Select Sound > New AudioTrack. ‣ In the Timeline view, right-click the area below the thumbnails and select New AudioTrack. ‣ In the Sound toolbar, click the New Audio Track button. Once you add a new audio track, you are ready to import a sound. You can import sound clips (WAV, AIF, AIFF, or MP3) into an audio track at the first frame or at the current frame. If the sound clip does not already exist in your project, Storyboard Pro copies the file from its present location to the audio folder in your storyboard project folder. You must work in the Timeline view. IMPORTANT: MP3 files are not recommended for long sequences, as it is a compressed file format. For optimal results, use WAV or AIF sound files when working on a long sequence. In the Timeline view, select an audio track. ‣ Select File > Import Sound Clips. ‣ Right-click the audio track and select Import Sound Clips. ‣ In the Sound toolbar, click Import Sound Files button. Select the sound clip you want to import by typing in the file path or using the Browse button to search for the file you want to use. In the Target Sound Track section, specify whether you want to create an audio track and import the clip into it or import the clip into the selected audio track. In the Target Frame section, indicate the frame at which the sound will begin. 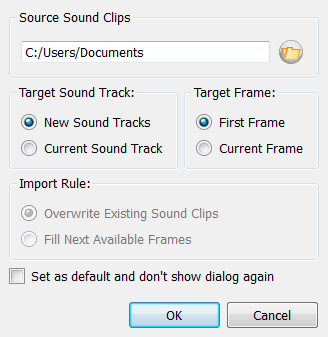 ‣ Overwrite Existing Sound Clips: By default, when you import a sound, it will replace sounds that exist in the target frames. ‣ Fill Next Available Frames: Import the sound clip into the first available empty frames after any existing sound selection. Select the Set as default and don’t show dialogue again option if you want to use the current settings the next time you import sound and open a browse box to select a sound automatically.